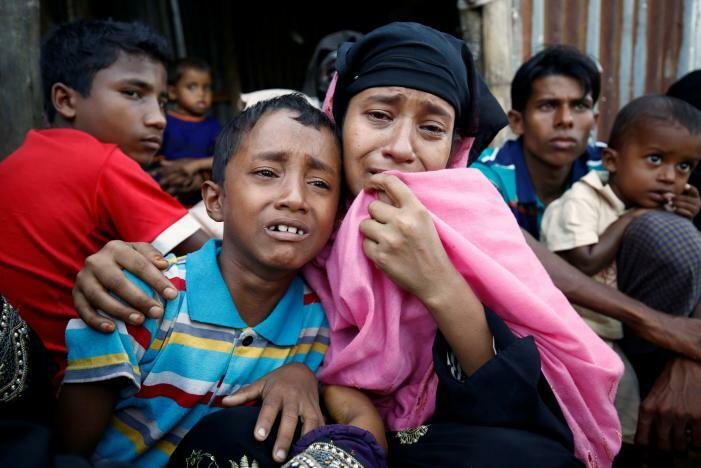 Border Guard Bangladesh in Cox's Bazar district have pushed back a total of 107 Rohingya Muslims who fled the country in the face of ongoing crackdown in Rakhain state by Myanmar troops. Cox's Bazar -- Two BGB battalions prevented the trespassing at different points of the Naf river and Ghundhum area on Tuesday morning. Teknaf 2 BGB Commander Abujar Al-Zahid said they sent back at least 70 Rohingyas boarded in seven boats till 7am while they were trying to enter Bangladesh illegally through four border points on the Naf river. However, the commander could not specify the exact entry points. On the other hand, Cox’s Bazar 34 BGB Commander Imran Ullah Sarkar said they pushed back 37 Rohingyas from Ghundhum border around 8am. The 37 included 13 children, 14 women and 10 men, he added. The commander continued that BGB has so far sent back 453 Rohingyas this month.